This document is designed to help interested schools understand Arts Council England's expectations for the scheme. 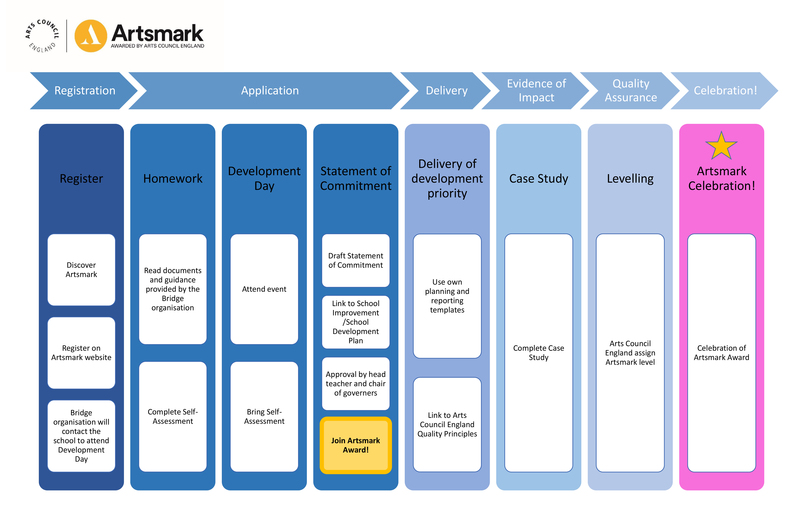 It clearly describes each stage of the Artsmark process, explains any paperwork that is required at each stage, and also deals with some frequently asked questions that may help clarify for schools new milestone moments and how they might stay engaged with this national initiative long term. Arts Council England has developed a set of 7 Quality Principles along with accompanying questions to inspire planning for high quality arts learning experiences. This Artsmark Self-Assessment framework breaks down the award criteria against the Artsmark levels (Silver, Gold and Platinum) and Arts Council England’s Quality Principles.